is the founder and coordinator of “The Jewish Queer Sexual Ethics Project” at the Center for Lesbian and Gay Studies in Religion and Ministry at Pacific School of Religion. 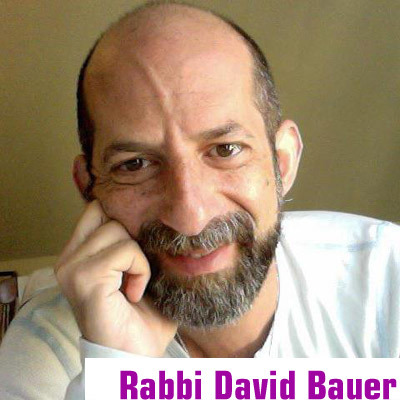 David's background and training includes nine years serving congregations in New York and Massachusetts; over twenty years of professional experience in theatre, dance, and opera across the US, Europe, Israel, and Canada; two decades of yoga practice; and years of academic study in sexuality and spirituality. The blend of influences has made David a unique pastoral counselor, ritual leader, community leader, scholar, artist, and writer who works eagerly with people of all faiths and ages. He earned his BA in Theatre Studies and English Literature at Yale University, studied Talmud at the Conservative Yeshiva in Jerusalem, and received his rabbinical ordination from the Reconstructionist Rabbinical College. He is also an alumnus of the Rabbinical Leadership Program of the Institute for Jewish Spirituality. In 2011 he became the first Jew to earn the Certificate in Sexuality and Religion from Pacific School of Religion in Berkeley, California. In the course of his ongoing engagement in the world of music and theatre, he has studied with legendary music pedagogue Nadia Boulanger and with choreographer Liz Lerman, collaborated with Canadian theatre star Martha Henry, and co-directed Mozart's The Magic Flute with Maurice Sendak. The energy of theatre and the power of music remain central components in his worship leadership and teaching. While a rabbinical student he interned for a year at Congregation Beth Simchat Torah in NYC, served two years as a student rabbi at Congregation Beth Sholom, in Great Barrington, MA, and one year as a chaplain with the Philadelphia Geriatric Center. From his graduation in 2003 until 2010 he served as the rabbi and spiritual leader of the Jewish Community of Amherst, in Amherst Massachusetts. With Michael Cohen he created Celebrating the Body Judaic – a Body Electric retreat for Gay and Bisexual Jewish men – and he has taught about eros and spirituality for Jewish, queer, and retirement communities around the United States, and at countless retreats and workshops. His essay "Man-Boy and Daddy-God: The SM Dynamic in Ezekiel's Call and Commissioning" was published in 2011 in Queer Religion, Vol. 2, edited by Donald Boisvert and Jay Emerson Johnson. Based in San Francisco, David serves as the Bay Area Director of Programming for Nehirim, the leading national provider of community programming for gay, lesbian, bisexual, and transgender (GLBT) Jews, partners, and allies.